Major problems like a leaky basement or a cracked foundation can begin up above you – in your gutter system. Inefficient, improperly sized gutters or ones that are regularly clogged can create serious problems for your home. That’s why it’s important to maintain a properly-functioning guttering system. 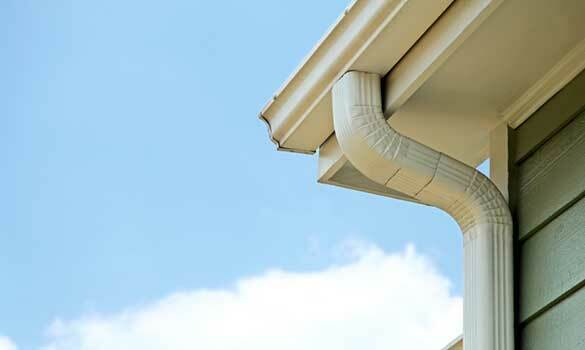 Armstrong Gutter Experts has years of experience with gutter systems and offers a wide range of services. Your home’s system of gutters and downspouts protects your foundation from erosion and reduces the chance of dangerous mold and unsightly mildew in walls and basements. Gutter systems require regular maintenance. Clogged gutters accumulate standing water that becomes a breeding site for disease-carrying insects. 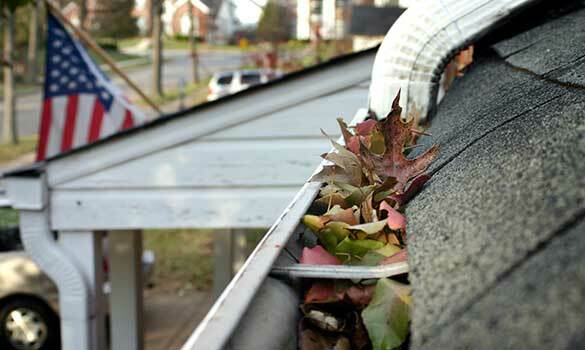 The timing of gutter system maintenance depends on the species of trees that you and your neighbors have. We clean gutters “when you call” or “automatically.” While cleaning, we also inspect your roof and advise you if any repairs are recommended. Together we decide on an initial schedule for gutter system maintenance and then fine-tune that schedule to your satisfaction as we gain experience with your home and trees. Never again come home to eroded mulch or a wet basement and wish you had remembered to call for gutter cleaning! We remember. No need to be home. We leave a bill at your door. We were the first in the Washington suburbs — 29 years ago — to offer automatic gutter cleaning service and we are proud of the number of automatic service customers who have used our service for a decade or more. Most seamless gutter systems can be made to function adequately, given skilled repair. Gutters can be realigned to flow properly, leaky corners can be sealed, and loose gutters and downspouts can be re-secured. However, systems that pre-date seamless guttering are usually candidates for replacement. Sometimes new gutters and downspouts are a better value than repairing aged gutters. The appearance of your gutters and downspouts is important to the curb appeal of your home. We’ll give you pricing for both repairing and replacing. New gutters installed with heavy-duty hidden hangers will give your home quite a face-lift if your current gutters are held on with rusty old spikes. When several roof areas drain all their rainwater to one narrow segment of gutter, a “standard” 5” width residential gutter can be overwhelmed. We offer gutters in several widths and downspouts in several diameters. We have the experience to design the perfect system for your home. Many years before shingles need to be replaced, leaks can occur around protrusions through the roof. Our experts can solve leaks around chimney flashings, pipe collars, and fan outlets speedily and economically.